Nas' New Album: Can Kanye West Help Deliver Another Classic? Brash, unrestrained, and exploratory, G.O.O.D. Music’s June release slate has been nothing short of a joy to behold. 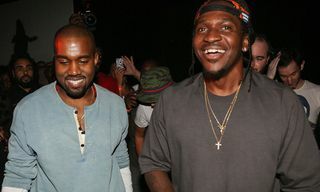 From the barbed punchlines and encrypted lessons in drug-dealing etiquette that were found on Pusha-T’s DAYTONA to the raw candidness of ye to the vibrant technicolor soundscapes of Kanye and Cudi’s spiritual rebirth on Kids See Ghosts, each record has placed each artist’s finest attributes at the forefront of their respective projects. 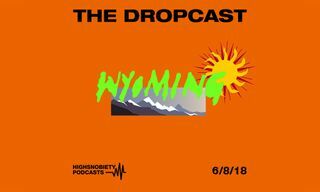 All devised and ‘hand-chopped’ by ‘Ye from the mythologized ‘sunken place’ in Wyoming, the sheer quality of the work that Kanye is crafting has shifted the focus from the public derision that seemed to be capable of doing irreparable damage to his legacy and has instead reaffirmed his status as a genuine cultural force. Now, as we approach the rollout of the penultimate record in the schedule, attention turns to whether Kanye can facilitate a similar revitalization for one of hip-hop’s most celebrated lyricists. When ‘Ye revealed that he would be at the helm of the newest Nas project, the prevailing consensus was one of tentative excitement. Two years on since the Queensbridge elder statesman used a DJ Khaled track to proclaim “Nas Album Done” and 12 months removed from his brother Jungle’s confirmation that the record was nearing completion on Instagram, it seems likely that what we’re about to receive will be an entirely different LP from the long-gestating body of work that he’d once intended to deliver. In spite of Nas’ reverence as a measuring stick by which all MCs are held up against, this erratic approach to the album’s release – coupled with personal tumult that far outweighs what he’d disclosed on 2012’s Life Is Good – has left many wondering whether he is still capable of delivering an album that can reach the peerless heights of his back catalog. In the wake of the acclaim that each new record to emanate from the G.O.O.D. Music camp has received, it seems fitting to weigh up all of the factors, both positive and negative, that could potentially make Nas’ 11th studio album an emphatic return to form or a fateful misstep in a career that has primarily subsisted on nostalgia over the past few years. While they may have emerged from drastically different eras and degrees of mainstream prevalence for hip-hop, the sparse interactions that Nas and Kanye have had on wax are indicative of both a shared admiration and undeniable chemistry between the two. Among the highlights of the seminal Late Registration, the pair first traded bars together over the bombastic strains of “We Major”. A celebratory cut from his sophomore album that saw Nas lament over the perils of rapping about his lavish life that he’d grown accustomed to – in contrast to tapping into the volatile energy that forged his early years – the track itself served as Esco’s endorsement of Kanye’s promotion to rap’s elite. Over a year or so later, the two would re-adopt the spirit of their previous collaboration on Hip Hop is Dead’s “Still Dreaming”. 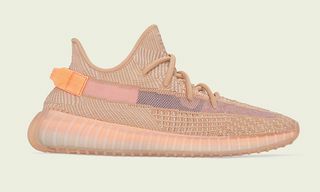 Flanked by vocal work from Chrisette Michelle, the track comes complete with the masterfully soulful beats that Kanye’s acclaim was born of and sees the pair deliver cautionary verses about wayward individuals that had squandered their chances of happiness and future prosperity. 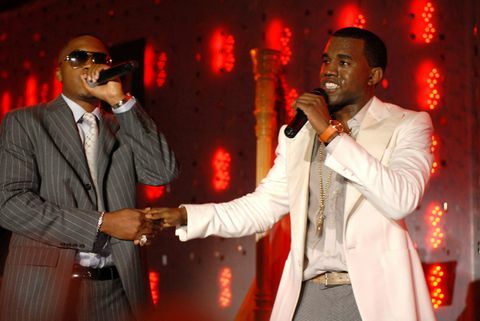 A full ten years on from their previous link-up, Nas and Kanye would cross paths once more on French Montana’s commercially minded “Figure It Out”. Complete with pop-inspired keys and an autotune-laden verse from Kanye, the sonic overhaul and shift towards pop music that had taken place weren’t the only things to have changed since their last auditory encounter. 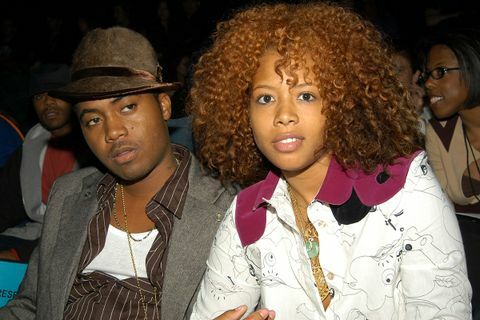 Although Nasir Jones may be no stranger to adversity, it appears that the public fallout from he and wife Kelis’ separation appears to have taken its toll on the legendary MC. As alluded to in “Figure It Out”, the disintegration of their relationship and the mutual amicability that appeared to be on display on Life Is Good has given way to a lengthy custody battle over their eight-year old child, Knight. In a moment of rumination on his life, Nas proclaimed to be “hearing people whisper, screaming I’m lucky but trust me, nothing come free, shawty tried to keep my son from me.” As it turns out, this remark has been somewhat prophetic when viewed alongside recent events. 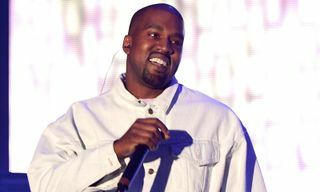 When viewed in conjunction with the ongoing war with his former wife, its accompanying backlash and the clear willingness to channel his trials and tribulations on Life Is Good highlights such as “Bye Baby” and “Daughters”, it would be hard to imagine that his upcoming LP won’t allow him to publicly exercise his demons in the same vein as the cathartic ye and Kids See Ghosts. 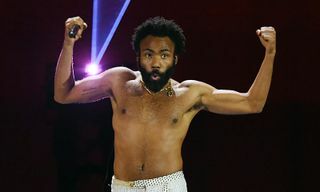 However, the continued delays that his records have been subject to since all of the upheaval began and the alleged substance abuse that he’s battling may result in a stunted creative process that could have an adverse effect on the record’s quality and focus. Save for his collaborative album with Cudi, there has been no greater question mark over Kanye’s June release schedule than his work with Nas. At a time when the producer has been flourishing musically in defiance of a wave of negative publicity, not only has the high standard of recent output helped to reassure apprehensive fans, but his enthusiasm about its inception has shown a gratefulness in Kanye that is seldom – if ever – displayed. In a rare moment of hero worship that is reminiscent of the idolization of his Roc-A-Fella label mates in the early 2000s, ‘Ye took to his polarizing Twitter account to declare that “I feel like I’m 18 years old again when I’m making beats for Nas.” Given the caliber of the productions that he’s put together for not only himself but Pusha-T and Kid Cudi over the past few weeks, conventional wisdom would suggest that the elation he’s feeling over getting to work with a genuine pillar of the genre will positively affect the finished product. With that said, this outburst is the sole piece of intel that fans have had regarding this album up until a tweet on Monday (June 11) in which he claimed to be “up in the morning working on the Nas album”. 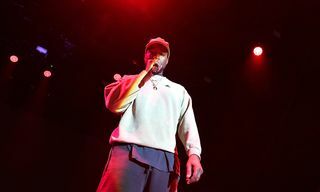 As each new project has arrived on its predesignated release date without exception, the fact that Kanye is still working on the album at this juncture could allude to a desire to contribute a classic LP to the rapper’s storied discography, issues with Nas’ performance or even a drastic last minute remoulding of the album akin to the transformation that ‘Ye underwent after his infamous TMZ appearance. While we remain in the dark in terms of whether Nas’ album will share DNA with the sound of G.O.O.D. Music’s recent releases or any of the accompanying acclaim, what is confirmed is that it will be comprised of seven tracks. A decision that has garnered the ire of certain sections of Nas’ fanbase who longed for a more comprehensive return from the MC, this emphasis on keeping things concise has the potential to exhibit Esco at his most vital. Broadly accepted as his magnum opus and arguably the most lauded hip-hop album ever, 1994’s Illmatic has aged beautifully due to the combination of its impeccable rhymes, the unique aura of its production and the fact that it is utterly devoid of filler. 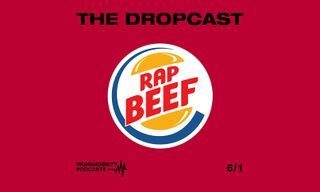 Clocking in at 10 tracks and just over 38 minutes in length, this streamlined project is a far cry from the bloated and patchy odysseys that Nas has grown accustomed to delivering.  Ever since his debut, he has regularly allowed projects to surpass the hour mark and subsequently reduced the efficacy of their standout cuts due to the varying quality of the rest. The most glaring example of this over-saturation comes in the form of Street’s Disciple, his 2004 double album that totalled 87:33 and veered between sublime output and lackluster material that could have easily been left on the cutting room floor. Now that Nas is constrained to the tight parameters of Ye’s seven song structure, this could be pivotal in rekindling that lyrical prowess and clarity of vision that made his early work such an engrossing listen. 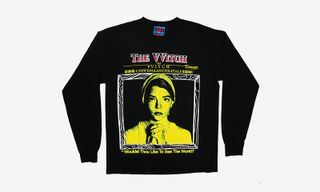 In terms of whether there’ll be any overarching concept that will tie the seven tracks together; a cryptic tweet from Kanye about the seven deadly sins may shed some light on their thematic focal point. In the wake of the lengthiest interval that there’s ever been between albums, the speculation that surrounds Nas’ new record has taken on a life of its own. 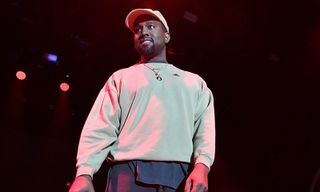 Unwittingly burdened with the weight of expectation that comes with a sustained absence, it is becoming clear that there will be no middle ground – and either Kanye’s prolific hot streak is set to continue unimpeded or the many extenuating factors at work could conspire to derail both his momentum and Nas’ unparalleled career all in one fell swoop. Fore more like this, read why Kanye & Cudi’s ‘Kids See Ghosts’ has way more to say about mental illness than current emo-rap right here.